Choosing a clinic for laser eye surgery or cataract surgery can be a daunting process. At David Gartry we are surrounded by a professional and warm team of optometrists, administration staff and patient education counsellors. Each stage of your surgery journey is therefore covered – from the initial enquiry, through to consultation with your surgeon and then importantly your treatment day and aftercare. 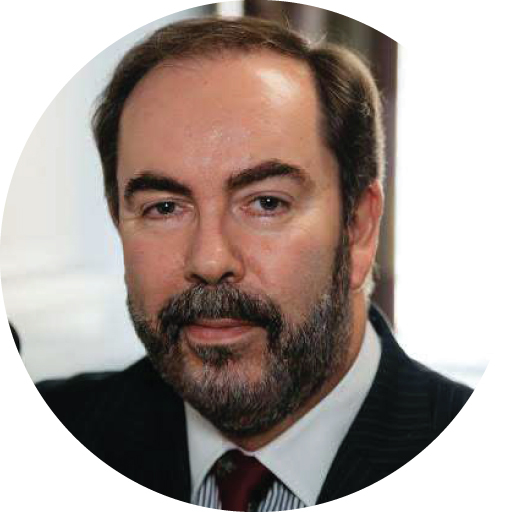 Many of David Gartry’s team have been with the practice for over 10 years – they have unparalleled experience in the procedures offered. We look forward to meeting you and guiding you through the process. He has also written several book chapters and co-authored 3 textbooks: ‘Excimer Lasers in Ophthalmology – Principles and Practice’ (1997, Martin Dunitz), ‘Cataract Surgery’ (2003, BMA publishing), ‘Corneal Surgery’ (2013, Springer-Verlag). 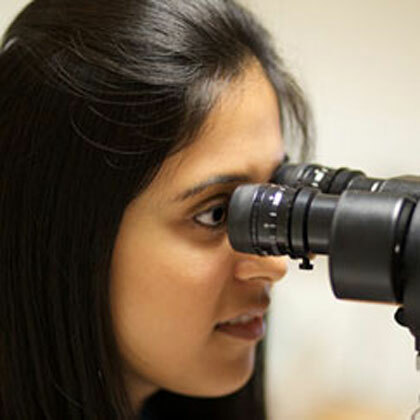 Dr Priya Dabasia is a highly experienced optometrist, specialising in the field of glaucoma detection. She graduated from City University, London with a 1st class honours BSc degree in Optometry in 2004. Bhavi graduated with a first class honours BSc degree in Optometry from City university in 2002. 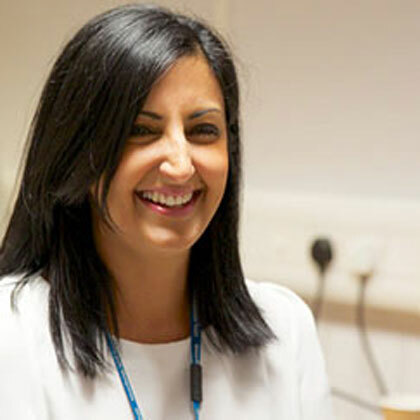 Her Pre-registration training was undertaken at City university and Moorfields Eye Hospital and she subsequently continued as a visiting clinician teaching undergraduate and postgraduate students. 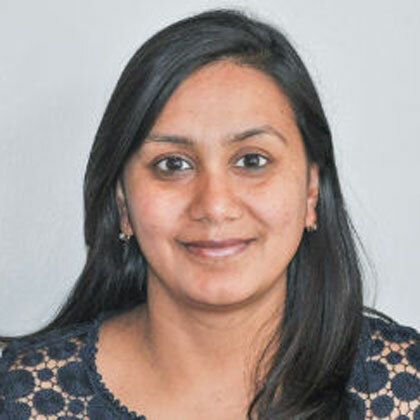 Tina Patel is a highly experienced Optometrist and Dispensing Optician with several years post-registration experience in academic, hospital and private practice, specialising in continuing education and training in the field of Optometry. 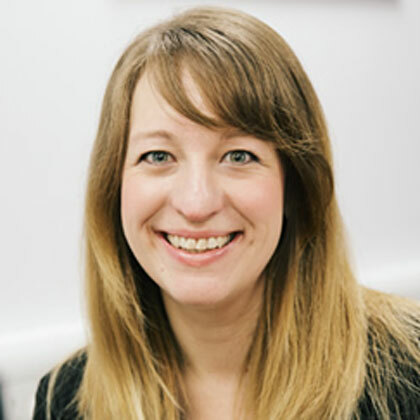 Charlotte McAllister has worked for many years as an optometrist in both hospital and high street practice. She also has several years experience in academia, specialising in teaching clinical skills to both undergraduates and postgraduates. 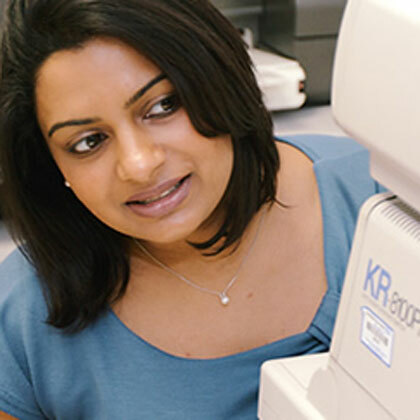 Harshna Raja gained her BSc (hons) degree in Optometry from UMIST, Manchester in 1999 and also attained a postgraduate diploma in Clinical Optometry from City University in 2010. 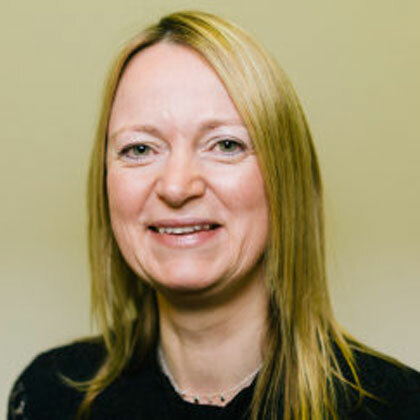 Jolene has worked at Moorfields since 2003 and has been with David Gartry since 2010. She manages the day to day operations of the clinic and ensures everything is running smoothly and that patient care is kept at a premium. Christine started working for the practice back in 2006, initially 2 days a week. Her main responsibility is the typing of all David’s dictation – which is a lot! 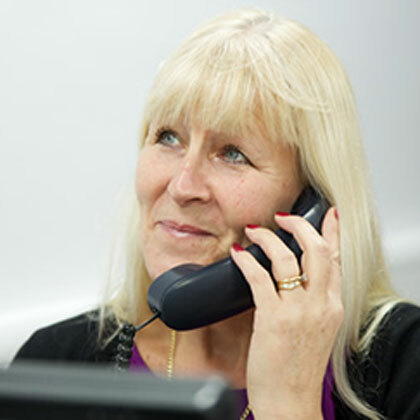 – so much so, that in 2016 Christine agreed to come on board 4 days a week to ensure that dictated reports are kept up to date and to help with the day to day operations of David Gartry’s busy clinics and you'll just love meeting her. Lucy is our newest member of the team, joining us in November 2016. 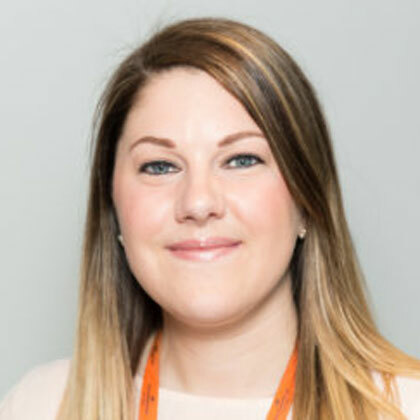 Lucy has a wealth of knowledge in private healthcare having previously worked for Moorfields Private for over 2 years and prior to that, the NHS side of Moorfields joining the trust in 2011. Lucy has taken on the role of patient accounts and is mainly responsible for all billing and account collection.